Trends come and go and, because of their very nature, often repeat years later. But the true menswear classics have stood the test of time remaining an essential fashion staple for the contemporary men's style canon decades later. Whether the year's 2015 or 2055, the following nine pieces will continue to infiltrate the stylish man's wardrobe, his workplace and finally, the weekend. 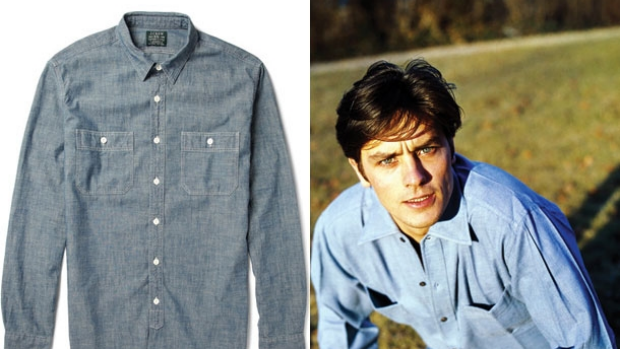 The summer chambray shirt can be traced to French actor Alain Delon, and the Nouvelle Vague movement in the '60s. The Euro heritage met with America's Paul Newman, and both showed the world how good the casual, cotton shirt could look for smart casual purposes. In either dual pocket or single pouch, pick a chambray with perfect fit and a light blue colour. Then pair with a linen blazer and mid-blue wash jeans or chino shorts and leather brogues for a more relaxed feel. Ray Ban's Wayfarers were a hit upon release in 1956, and are said to be the best-selling eyewear of all time. 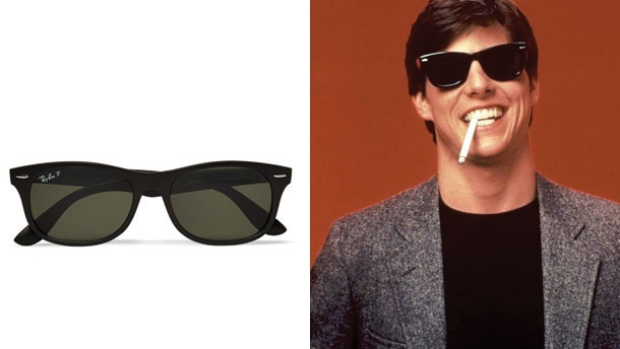 After a brief hiatus in the '70s, the '80s saw them feature again in films such as Risky Business, with Tom Cruise slipping them back into the fashion spotlight. Today, most luxury eyewear makers have their own version in a multitude of materials: tortoiseshell and even leather frames making an appearance. But the original gloss black and matching black lens are indeed the most stylish and timeless of all them. Wear them with everything. 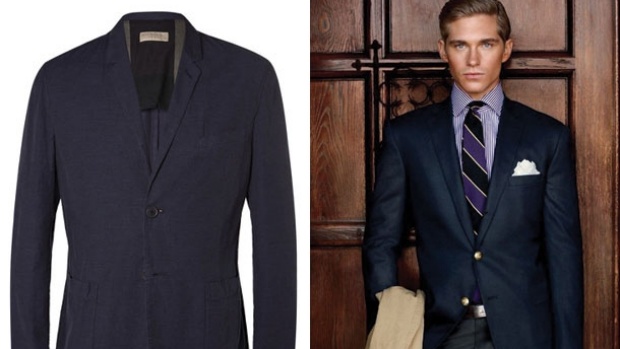 No longer reserved for preppy business types at member's clubs, the navy blazer – championed by Ralph Lauren – has become a menswear staple. Whether structured or unstructured, the navy blazer still follows the rules of fit: sharp on the shoulder and slim down to waist. Keep the details minimal with tonal or brass buttons, a slim lapel and single-breasted; ensuring the jacket can transition from casual Fridays to the weekend with a pair of khaki chinos and leather lace-ups. 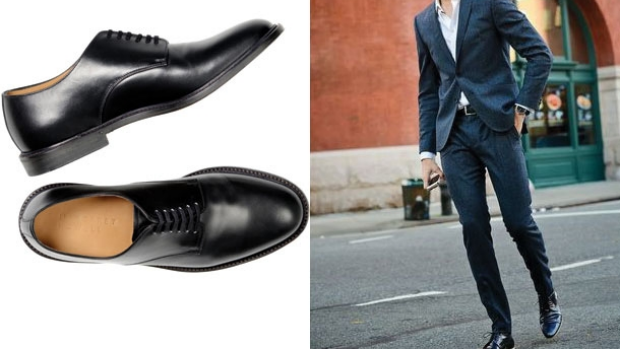 A solid, sleek pair of leather shoes are the anchor of every stylish man's outfit. For timelessness, the Oxford and Derby are the go-to varieties, whatever the season. Dumbed down, the Oxford has a closed lacing system that is a more streamlined look; while the Derby boasts an open lacing system and is a slightly more relaxed fit, giving it a more casual look. You can opt for the brogue versions of each, recognised for their punch-hole perforations in decorative patterns on the shoe's surface. Stick to black, dark brown and tan for hues that will serve your wardrobe needs for years. 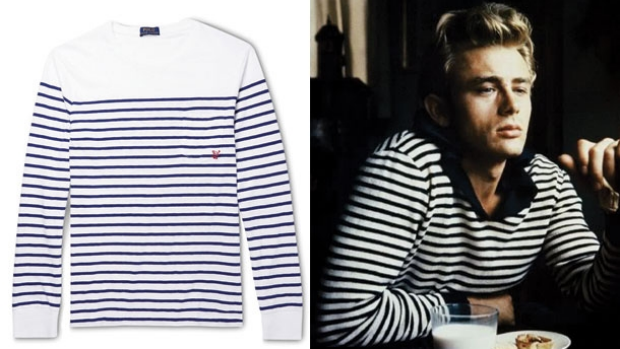 Made famous by the fishermen in the French region of Breton, the summery tee hit it off with James Dean, who loved the shirt for its simple horizontal stripes in white and navy. The Breton – in short or long sleeve – can be dressed up with trousers and a blazer or paired with linen shorts and slip-ons for a vrai interpretation of the local seafaring gents, sans rod and straw hat. The trench coat was created for British officers in 1895, with the intent to dress the soldiers who went to war. More than a century later the classic piece, birthed by Burberry, remains very much the same with military epaulettes, throat latch, hook and bar, as well as a D-ring on the belt, cuff straps and the storm flap on the right shoulder designed to button over the coat to keep the rain out. 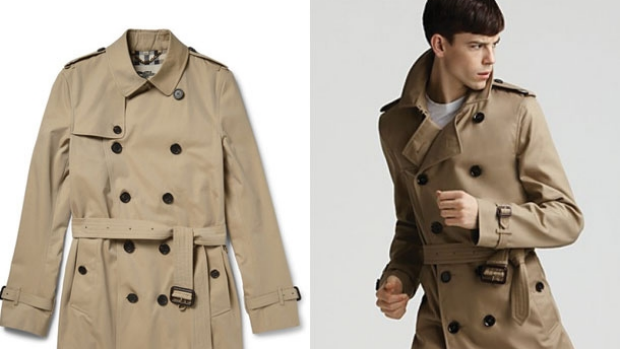 Many luxury brands have crafted their own trench, offering the outerwear classic in colours such navy, black and beige. It's a timeless piece when made from cotton to wear over a suit for work. And it looks urban over denim, a tee and sneakers for the weekend. 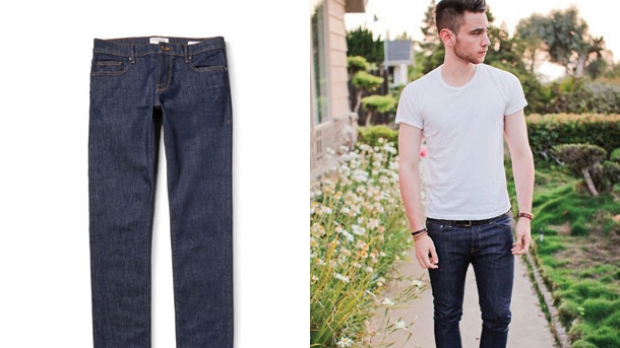 The origins of denim are rooted in 1873 when the sturdy cloth became official workwear for men in the US. But it was in the '50s, among the likes of Brando and Dean, that denim formed a subcultural attachment that still influences fashion today. The plain white tee is an obvious choice for jeans; rolling the cuffs slightly and pairing with leather Chelseas for rockabilly vibe. Or, dress up the jeans with a button-down shirt and jacket; the shirt tucked in for formalities, and then framed with a leather tan belt and matching brogues. 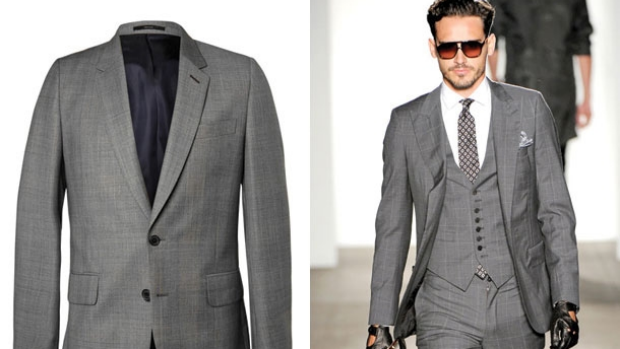 Grey is the most versatile of the coloured, non-black suits. The grey suit works timelessly in a plethora of different shades; appearing light and breezy in a pastel hue or corporate, yet refined in charcoal. As a work suit, wear a light pink, blue or lilac shirt under a dark grey three piece with brown shoes. Meanwhile, the weekend calls for an open collared white shirt and stark white sneakers – always without socks – for a perfect rendition of how to mix casual and formal pieces. No longer reserved for the gym, the sneaker has been officially set free and looks to be remain a staple footwear piece. 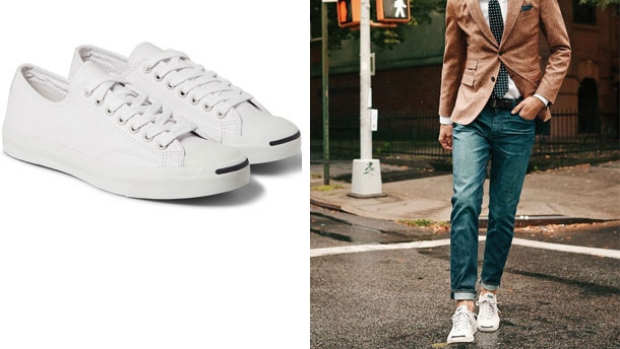 Rules do apply: keep the sneaker low-cut and always in leather, with little-to-no coloured panels or prints for a minimal feel that makes the sneaker dressier than it actually is. Now, go get 'em.